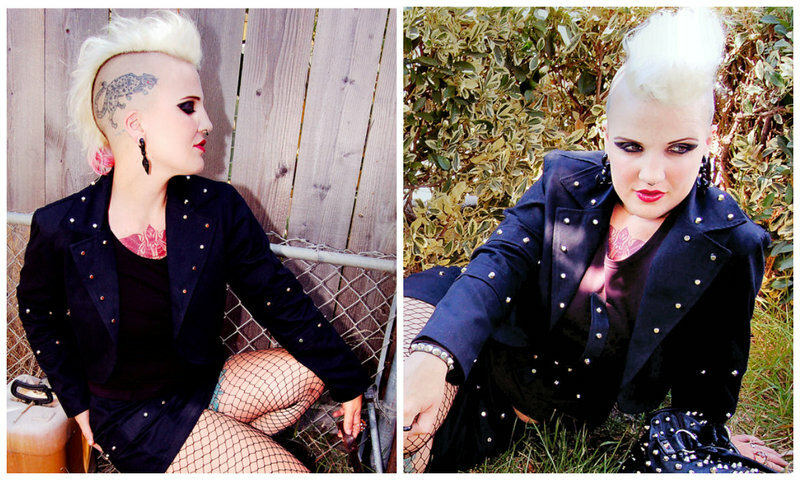 The glam punk look is a girlish and rebellious style that is a great look to personalize and adapt to your own taste. Following on from the rock era, influenced by the greats such as the rolling stones, the punk movement was glamourized by the modern fashion industry, and was mixed with elegance to create the look. This article will show you how to create a more casual glam punk look for the every day. To keep it casual you should start with a base, and accessorize to express your own personal taste. 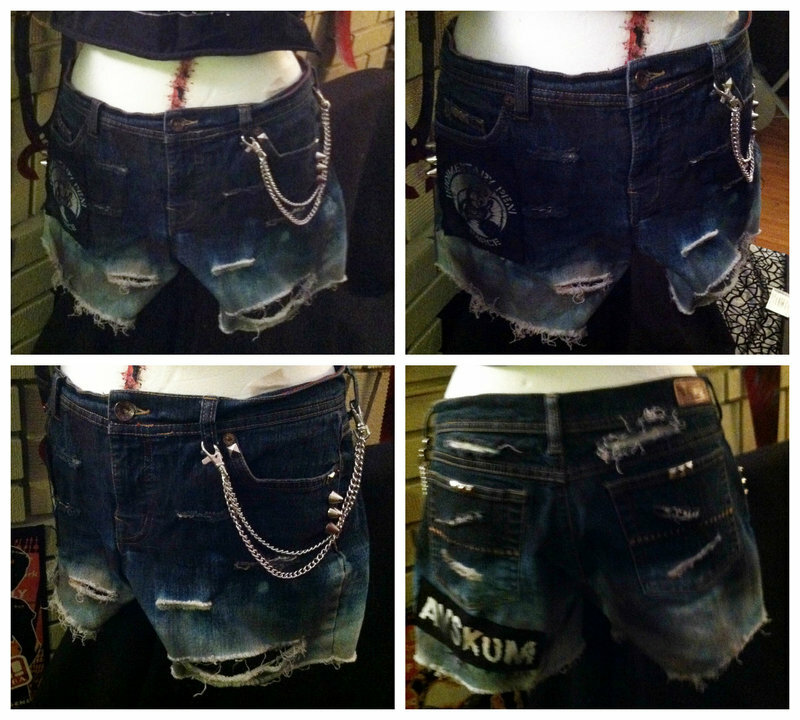 These gorgeous faded, studded shorts are a great, rebellious and casual way to begin creating your outfit. This skeletal top is a fun, rebellious and dark design, perfect with denim shorts and a studded belt for a punk look. This black and white, classic design is a dream from the past, and the presence of the glamorous Marilyn Monroe will add a touch of sophistication to your outfit. Finish your look with this sophisticated, studded jacket. 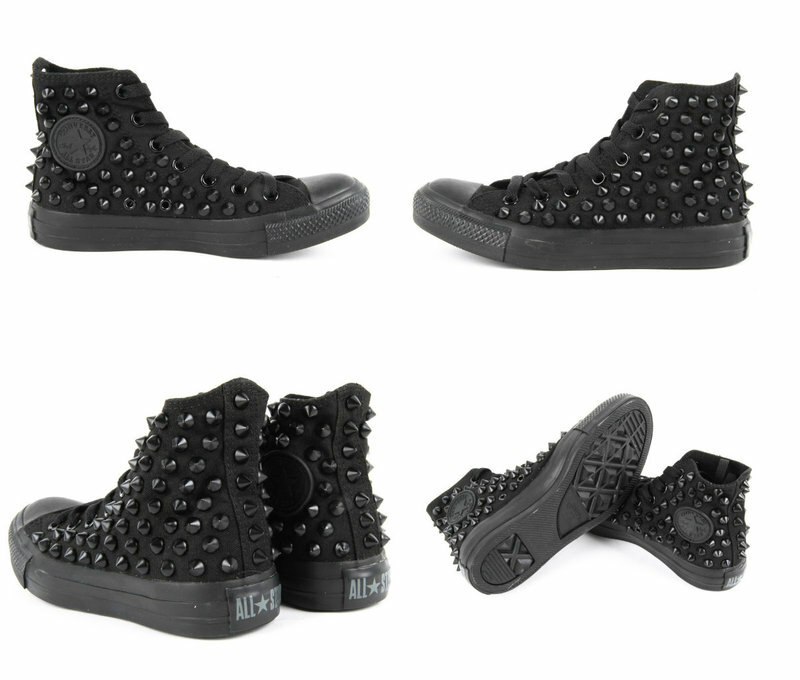 The design is both elegant, with its soft fabric, and rockin’ with its studs, perfect for a glam punk look every day. 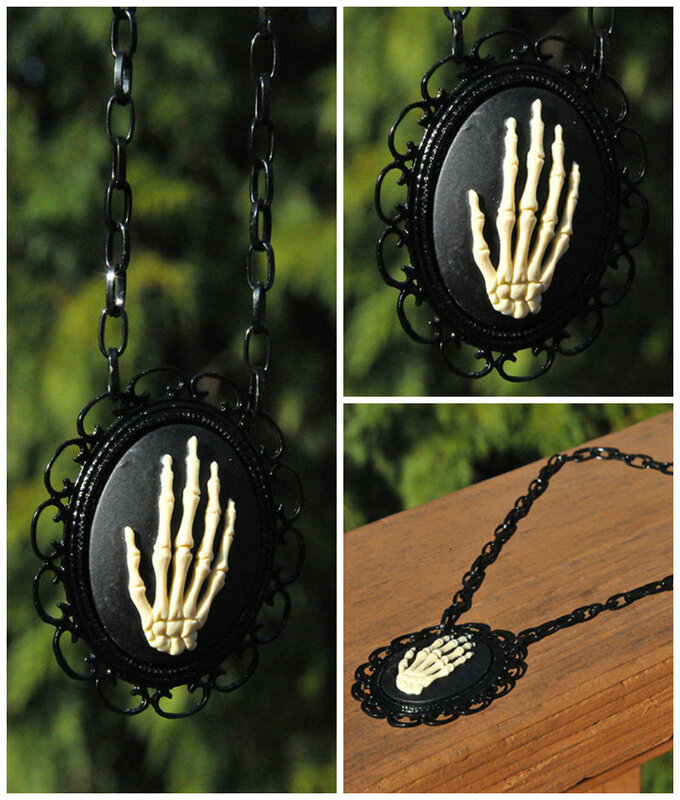 This elegant gothic necklace is both casual and glamorous, great for showing rebellion and fashion. 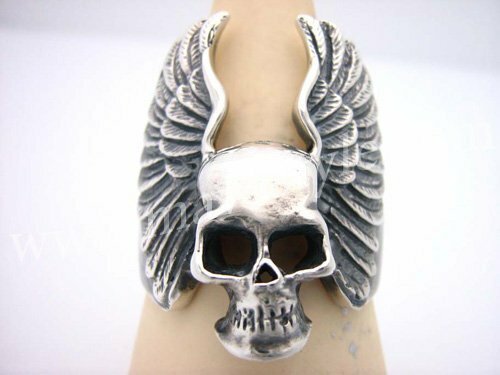 Finish your accessorizing with this metallic, rock ring. With every outfit comes the shoes, and in the case of a more casual glam punk look the shoes are important. These converse style, studded shoes are a great addition to denim shorts and a patterned shirt, as well as an expression of style and rebellion. For an even more glamorous look try these gold studded converse shoes with gold jewelry. The Glam Punk look is really an adaptable one, and you can choose to keep it casual or dress it up, but remember its about expression and style, so confidence and personality is key.